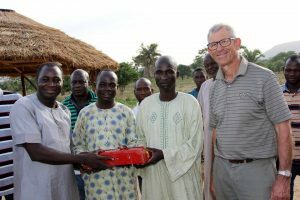 Both Gurku and Kwarhi have received their tractors. Pam and I were at Gurku from Wednesday noon through Friday noon which gave me an opportunity to get some of the bugs out of the tractor and the implements. They actually had me out on the “back 40” with the disc plow, which was quite an experience! There were many items that a US dealer would have done that were not done such tighten bolts, install drawbar, adjust hood, etc. I also discovered that the trailing wheel on the disc plow had been installed backward and the actual discs on the disc harrow were installed end-for-end. Both mistakes made by the dealer. (During the purchasing process, Abu the dealership owner said, “Dave you know so much more about this equipment than we do”). Yesterday I left the Gurku equipment in the hands of the Agric Chairman, a very competent IDP resident appointed by Markus. I also created a logbook in which to enter service/maintenance records, jobs accomplished by the equipment, billing, etc. Carol Smith printed a Massey Ferguson Care booklet for the Chairman. Abu did not have an Owner’s Manual to give us but he will supply one. It is, of course, our intent that after a hopefully short incubation period, the tractors will be completely self-sustaining. Asta, a BEST member, who has a farm near Gurku has asked me about rental of equipment policy. There seems to be a strong need for this equipment and many ways for it to create value which will then create revenue. Markus has stressed the importance of accountability to his “team” and I believe this project has a great chance of success. Today or tomorrow an experienced tractor driver is coming to Gurku (and will be a resident there) to do the actual operation of the tractor. Pam and I plan to go to Kwarhi with Markus sometime in the next two weeks to present the equipment to EYN and to conduct the initiation process. We are hearing and sensing much gratitude for this project and so we convey that sincere gratitude to you and the many others who have made this possible! 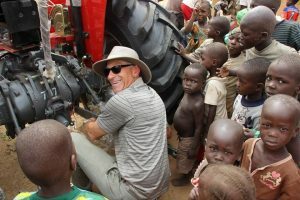 Nigeria Tractor Project is a go! 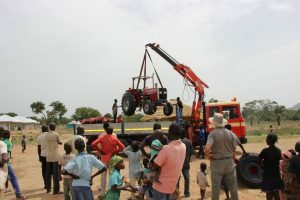 Thank you to all who have been raising special funds for the Nigeria Tractor Project! Several churches and districts have contributed significantly and we are ready to buy the tractors and get the project underway. (Any additional funds raised for this project will go into purchasing seeds and fertilizer.) The recipients in Nigeria are very enthusiastic about this venture. Most farming is done by hand and is very labor intensive. The tractors will help greatly with this work. 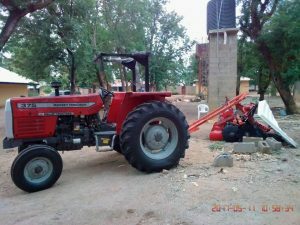 One tractor will be used at the EYN Headquarters in Kwarhi and the other with Displaced Persons around the Abuja area. 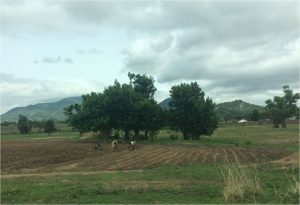 With the help of the tractors, they will be able to clear larger areas of land, form Co-op groups that will plant the crops and share the harvest among their members. 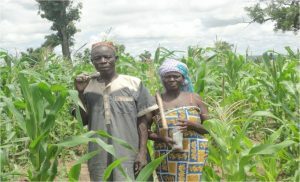 Some of the crops will be sold and the proceeds will provide for next year’s maintenance, purchase food for those in remote areas, and provide school fees and medicine. Please continue to pray for the success of this project and for the people who will benefit from it!